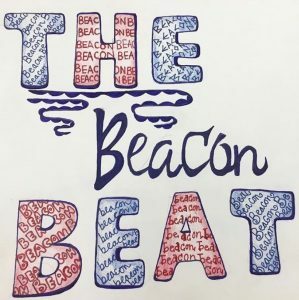 Beacon’s varsity sports teams have been playing strikingly well during their 2018-19 campaigns. Beacon Boys Varsity Soccer finished the season first in their division with 11 wins and one loss, while Girls Varsity Soccer finished the year undefeated, and Girls Volleyball split their season record with six wins and losses. On top of this, the Boys Varsity Basketball Team came first in their respective division, and the girls finished in the top two. With all of this attention focused on these athletic powerhouses, one varsity team at Beacon has seemingly gone unnoticed by the student population and has received far less funding from the school: the Wrestling Team. This past year, the Beacon Blue Demon Wrestling Team has begun to change the culture surrounding their program. As a co-ed unit, they have intensified and expanded their practice structure, begun advertising their matches and have found more opportunities for students to support the team. All of this hard work has paid off and they have excelled in their tournaments. Every athlete knows that how they practice is how they play, and for this year’s Blue Demon Wrestling squad, this could not be more true. During the 2017-18 season, the team practiced around three times per week, but this year’s team practices four to five days a week, for one hour longer, and with more conditioning sessions. Sophomore Ian Krupp says that in practice, the team “busts their a** so we can we can be good,” adding that one time, “I carried my teammate from the lobby to the gym twice as a drill.” Krupp explained that last year, the team did not practice with the same relentless drive they did this year, adding that the wrestling team “saw the success some of the other teams had and realized that [they] wanted that, too.” He feels that if this same desire is maintained over the next few years, the team will eventually reach its goals. The wrestling team has also done more to advertise their matches and raise funds than in years past. All of the waffle stands that have come to be increasingly popular among the student body have been a result of the wrestling team showcasing their brand and making up for the lack of financial support. One operator of the waffle sale on January 30th claimed, “when people asked me what club they were supporting, the answer always peaked their interest, and gave them a pleasant surprise.” Coupled with these bake sales, Blue Demon Wrestling began to promote their home matches with posters near the cafeteria and elevators. In years prior, fan attendance was usually comprised of “a few parents and the occasional friend of the players,” but after the placement of the posters, “more students came to the home matches,” said one of the wrestlers. The effect of all the recent publicity was felt by the team as this past year, the team secured four more recruits than last year, and eight more than from the 2016-17 squad. With all of this effort put into this year’s program, the team placed in the top 10 in their last three weekly tournaments, and hopes to keep up this solid record for next year’s season. With the athletes carrying a winning mindset the team is poised for success in the near future. Beacon should watch out for Blue Demon Wrestling as it finally steps out of the shadow of other team sports one blue letter jacket at a time.